Pick up a copy of my revised and updated book, Ten Cheap Lessons: Second Edition ($12 spiral-bound paperback, $5 digital). Contribute to 52 Teachers, 52 Lessons. Subscribe to my RSS feed or become a Follower (click Follow on the sidebar). Send in a guest post. Click the Share button below to add posts you like to StumbleUpon, Technorati and other social bookmarking sites (or share links on your own blog). Funny Math T-shirts - I thought I had seen all of them before I found this! The huge list is on Teenormous, which is a search engine devoted entirely to t-shirts of all kinds. The truth about grit - Boston Globe article from August about how "genius" is really just a good idea with a lot of hard work behind it. Something worth reiterating to our students, no? From home schooling to 'unschooling' [via Slashdot] - The Baltimore Sun writes about an interesting offshoot of homeschooling. I know I have some homeschoolers reading this: what do you think? Friday Happy Hour: Fanatical Parents & School Assemblies [@mental_floss blog] - The masters of trivia ask two open-ended questions: "What’s the craziest parental fan behavior you’ve witnessed?" and "What were some of your best or worst school assemblies?" Click through for ancedotes and reader responses. When I wrote about games and puzzles recently, Mister Teacher left an interesting comment about his frustration over students' lack of number sense. He teaches 3rd graders, but my high school students always had the same problems. One tool I used, even at that level, was the number line. Number lines are used for a number of topics at the elementary level, but they pop up when least expected in higher grades. They help with counting and measurement for younger students and later become part of measures of central tendency (box-and-whisker plots) and graphing inequalities. By using it, you're modeling something that appears throughout all levels of mathematics but is still criminally underused. So I was considering this issue and was struck with the idea of creating a giant number line that student could actually walk along. I envisioned all ages of students rushing up and down the line frantically, as I used to do when we played a version of Ship to Shore in PE in elementary school. This game is designed for 1st grade and up, and is scalable and adaptable for higher levels of difficulty. Classroom: Use brightly colored painter's or electrical tape to mark several parallel number lines on the floor. Create enough hash marks as possible (-10 to 10 at an absolute minimum). Move desks, tables and chairs out of the way (out of the room if possible). Gym: If there's any lines already on the floor, use them as the hash marks of your line, but create the line students will follow as described above. Outdoors [large sidewalk/playground]: Use sidewalk chalk to mark number lines. Outdoors [football field]: Perhaps the best option of all, especially if the field is lined but not numbered, in which case you don't need to do anything except get out there. Parents and homeschoolers: you have a distinct advantage if you try this game--there's no excuse not to use the largest space available. Students stand at zero to start. If you're in the classroom, use teams and have students rotate out when they're eliminated (see below). Teacher calls out problems with ample pauses between numbers and operators ("8... plus... 3... next: 2... minus ...7! "), allowing students to move accordingly. If someone stops on the wrong result or is the last to get there, they're eliminated. Eliminated students stand off to the side, and are welcome to help with answers and identify cheaters or other problems. Increase the speed and difficulty of problems until the round is done. Start over and encourage improvement, but accelerate the game more quickly. The ultimate goal is that the class will get to the point that everybody is moving to the right spot almost as one! Discuss the type of problems you're going to do. Some questions you might ask, depending on the level of questions you'll be working on: "How many of you know how to add? ...subtract? What happens when you subtract a bigger number from a smaller number? What is a negative number?" Introduce or review the number line. We start at the first number given in any addition or subtraction problem. We move right for addition and left for subtraction (and if you're using negative numbers, that sign reverses your direction). Explain the game procedures outlined above. How do you want students to move? Do they make big steps over large intervals, hop (as we draw on paper number lines often), or can they run? Are you going to announce problems separately (which will require more movement) or just add or subtract to the last answer (which might be quicker)? How difficult should the problems get? Will you just add and subtract positive numbers, positive and negative integers, fractions, or decimals? Will you change your intervals to 10 or 100? Who do you need to talk to in order to use one of the spaces outside your classroom? The unique setting and large scale of this game is what will make it more memorable and effective with your students, so you have to do everything to get the most possible space. Notice that I didn't suggest students could do this on a paper at their desk; of course they could. Yet that would miss the entire point: this is an engaging, fun, kinesthetic activity. Students will be paying attention, quite literally on their toes, and that's a big deal in and of itself. More importantly, the number line is an easy to understand model of addition and subtraction, especially for more difficult problems like subtracting larger numbers from smaller ones, and adding and subtracting positive and negative integers. This game avoids any written component, by you or them. You're helping them develop number sense by solving the problems quickly and mentally, with only a slight aid from the number line. By not even seeing the written problem, let alone being able to work it out on paper, they're forced to use the natural math ability we all have. To go back to Mister Teacher's example, imagine starting at zero and giving students the problem "0 minus 8". It sounds like in his class, you'd have half of the students go to 8 and the rest to -8. Who's right? Can one of the students explain the answer? It's a great teachable moment that will stay with your students. Moving around the line doesn't take too long, so you have the opportunity to do a lot of problems, multiple rounds, and reverse and repeat problems that students struggle with. By the end, you should be able to call out almost any problem and have everybody moving to the right answer simultaneously! In other words, it should get to the point that they don't need the number line by the time you're done. If you attempt this in class, please report back with your experience! I'm really excited about the possibility that this simple idea will make a difference for your students. Have you done anything similar on this topic or others? I'd love to hear about that as well. Stay tuned for more games for students young and old! Pat presents Working Myself Out of a Job posted at Successful Teaching. Darren presents CTA--How Are You Going To Explain This To Your Membership? posted at Right on the Left Coast: Views From a Conservative Teacher. He asks, "What happened to the CTA, such that California, with no fight at all, got rid of the section of ed code that forbade tying student standardized test scores to teacher performance evaluations?" Joanne Jacobs presents Schools can't close parenting gap posted at Joanne Jacobs. OKP presents Inductive Reasoning and Close Reading posted at Line 46, which is "[a]n activity to help train students to read more closely." Pat pulls double duty this week, presenting Using Common Sense is Not Impossible posted at Successful Teaching. Mister Teacher presents Sum wrong answers posted at Learn Me Good. Mrs. Bees presents Awful posted at Full of Bees!, saying: "They warn teachers never to get into a power struggle, and I think that's exactly what I did - but I'm not sure what else I should have done with this belligerent student. What do other teachers think?" oldandrew presents OFSTED Must Die posted at Scenes From The Battleground. "OFSTED," he explains, "are the school inspectors in England." Bellringers (Carol Richtsmeier) presents Witches, Warnings & Phone Calls posted at Bellringers. Craig asks if he's giving Too Much Help? by letting students use study guides during tests at Approaching Infinity. Joshua Gans reveals Shock! Baby Einstein not educational at Game Theorist. Eyawn explains Why I've Become a Believer in Our Oakland School at Sup Teach?. j4luck says I Don't Know Nothing About Anything at Contemplations of a Future Teacher. sassybug shares Just a few stats... at A Few Degrees Short of a Right Angle. That's all for this week's educarnival v2. You can read the previous issue at Epic Adventures Are Often Uncomfortable. Next week's carnival will be hosted at I'm a Dreamer. As always, you can submit your entries for next week here at the Blog Carnival website. Thank you for visiting! This week's entry is from Julie of School of Blog, where it is also crossposted. It's a great example of authentic discovery learning that other teachers can learn from. I have assigned several students to each Mesoamerican society (Maya, Mixtec, etc.) In the "Search" box at ImageBase, the students in the Maya group will enter "Maya," which will generate images of artifacts. The students will choose one artifact to analyze. The students will complete a worksheet that will help them analyze their artifact. The point of the analysis is for students to understand what "stuff," or material culture, can teach us about the people that used it. Once they finish the analysis, they will bring what they've learned and "jigsaw" it with the other students. Next steps include a more general discussion of those societies, trade networks, etc. I've found that this type of activity is great for kids with language processing difficulties and English language learners. If I'm delivering content day after day through English-language documents, films, and discussions, it's nice to take a break and have students learn history by examining an artifact. Read more about this project here, then email your entries to teachforever AT gmail DOT com. Week 35 is scheduled for next Monday, November 2nd. Claroline - Teachers around the world use this open source software to create and manage online courses and learning environments. Claroline supports 35 different languages. Wetpaint - Wetpaint can be used to create free social websites. This tool is excellent for classroom projects. Sites are easy to build and can include text, videos, photo galleries, tables, polls, attachments, and other types of content. mind42 - Mind42 is a free mind mapping (visual brainstorming) application that works in your browser. The app offers impressive features and works well for classroom collaboration. SnapGrades - SnapGrades is a web-based gradebook. Teachers can use the free version of this book to print grades and store grades online. RubiStar - This free online tool helps educators create rubrics for different types of class projects. RubiStar can be used alone or integrated into class management systems like Moodle and Blackboard. TU Lesson Planner - Teacher Universe offers this free lesson planner to help teachers plan standards-based lessons and 2.0 learning experiences. Quiz Center - This free online tool from Discovery Education creates, administers, and grades quizzes online. The tool is simple to use and fully customizable. ProProfs - ProProfs provides an amazing selection of web-based tools for teachers. The free tools can be used to create online quizzes, polls, flash cards, and brain games. Flash Card Machine - This web 2.0 tool creates web-based flash cards that can be placed on customizable pages for individual students or entire classrooms. Cards can be text-based or audio-based and support image insertion. World Lingo - WorldLingo is an excellent tool for language learning classrooms. This free translator can translate text and web pages into multiple languages. Twiddla - Twiddla is a web-based whiteboard. Classrooms can use Twiddla to brainstorm, share images and text, or browse the web together. 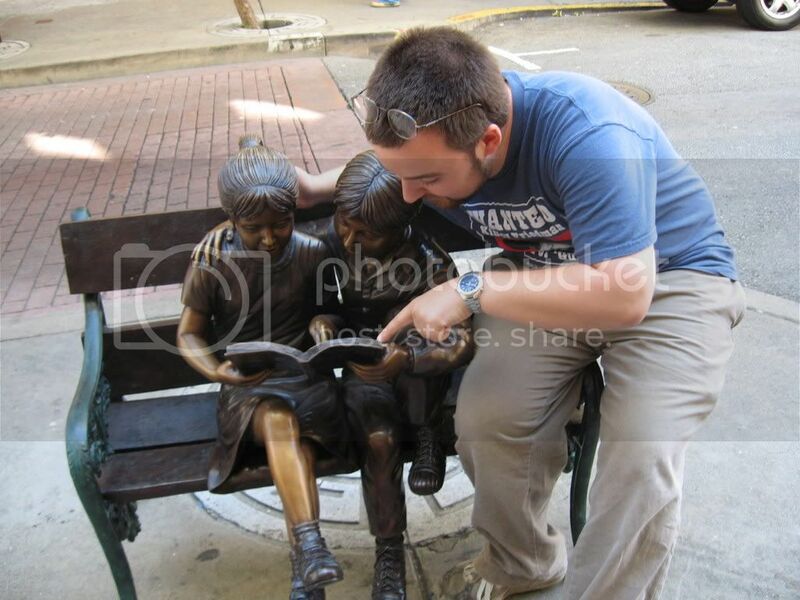 Gickr - Gickr instantly creates animated photos and slideshows using basic photos. Completed Gickr projects can be imbedded into web pages or blogs. EduSlide - This free software allows teachers to create online courses and web-based lesson plans. Content can be presented through wikis, slideshows, blogs, and testing modules. Web-Chops - This free 2.0 tool is perfect for teachers who want to share bits of the web with their students. Web-Chops allows users to clip web page sections and reorganize them on a single topic page that can be shared with other people. Jing - Jing is free, cross-platform software that can be used to add screen shots and videos of on-screen action to online conversations. Recorded material can be shared over the web, through email, and via IM chat. Vyew - Vyew is a live web conferencing tool that can be used for online meetings, presentations, and real-time collaboration. Vocaroo - This free voice recording service couldn't be any easier to use. You simply click one button to record, another to stop, and a third to play back the recording. Yahoo! Media Player - Yahoo's free media player makes it easy to imbed and play audio recordings on web pages and blogs. This player is great for language teachers, music teachers, and other educators who want to share audio files with students. Edutagger - This social bookmarking site for K-12 teachers is a good place for educators to find web 2.0 tools that have been reviewed and implemented in the classroom. The Apple - The Apple is a social network where teachers come together to talk about technology, web 2.0 tools, lesson planning, and other education topics. Guest post from Karen Schweitzer, the About.com Guide to Business School. Karen also writes about online classes for OnlineClasses.org. 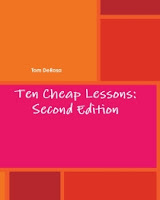 Ten Cheap Lessons: Second Edition = More for Less! I've noticed that since I published my updated, expanded Ten Cheap Lessons: Second Edition last month, most people have still been buying the first edition (paperback and download). In the case of the paperback, it made sense because the Second Edition was slightly more expensive. I can understand that. However, the Second Edition download has been $5--one dollar cheaper than the first edition--since day one! Since the Second Edition has more content, people are paying more for less! I've lowered the price for the spiral-bound Ten Cheap Lessons: Second Edition to $11.95, the same as the first edition paperback. So now you'll get more content for the same amount of money. Frankly, as much as I like seeing my Amazon sales rank climb from #1,500,000 to #1,499,999 from one day to the next, I don't make much off each book sale there. Long story short, if you're aiming to support this website, I make more from each Second Edition sold than any first editions I sell. If you click the Teach for America tag, you'll find previous posts about my experiences. I'm happy to answer any specific questions you might have, just email me. Working with elementary school students in my tutoring job has had me thinking a lot about how I learned math when I was younger. I'm good at following directions and solving problems with the standard methods we're always taught, but I've finally got a name for the way I would try to break down and simplify problems for myself: number sense. Of course, I've heard of number sense before, but I didn't really have a complete picture of what that meant beyond being really, really good at solving math problems quickly and without a lot of difficulty. I've realized that more than anything, playing a wide range of games (card, board, video) and solving puzzles throughout my youth gave me more practice with number sense than anything I did in school. The crucial skills are pretty easy to see when you're looking for them: counting, classifying and grouping numbers, estimating, thinking quickly, dealing with money, spatial relations, problem solving, creating systems to make success easier, and finding out that there's more than one way to do things. I'm being purposely vague here, because I think these skills are present to some extent in so many things that it would be difficult to make a definitive list. Suggest games that would be valuable for parents to do with with young children at home. The last one is a new adventure for me; up until now I have focused almost entirely on things that can be done in middle and high school classrooms. Being out of the classroom has reminded me that so much can be done at home, and much more easily than parents might think. When I fly home for the holidays, I usually take a book of sudoku puzzles with me. They keep me occupied to prevent both boredom and anxiety about flying that I've never completely shaken. Sometimes I bring along a very challenging sudoku book, one where I might not finish a puzzle before landing. While I'm usually up for a challenge, I've often found myself more frustrated with these puzzles than the stresses of travel. It's the only book where I've finished multiple puzzles only to realize I had done so incorrectly (How did I get two 9's in the first row? Arggh!). Nevertheless, I keep bringing it along every so often, vowing to conquer the mighty challenges within. You can guess how most of these struggles end. It was in one of these moments that, instead of paying airport prices to buy an easier book, I thought it would be an interesting challenge to make my own sudoku. I would start with a blank 9 x 9 grid and fill in the numbers from scratch. All I needed was blank paper, a pencil and time. I started as I sometimes do with traditional puzzles: fitting the same number in each of the nine 3 x 3 boxes. In this case, it didn't matter the starting number, or the order after that. You still have to use the same skills and logic that you do when solving a regular puzzle. Mathmatically speaking, at some point early on, you lock yourself into that one solution that all sudoku puzzles have, so it's not long before you're basically doing a regular puzzle. I wondered if I could start with specific patterns and still create a working puzzle. Could I fill a row with 1 through 9 in order from left to right? What about crossing through that with a vertical line of 1 through 9 in order? Could I make patterns in one 3 by 3 box and simply repeat them in the other boxes with very few changes? Could I fill a 3 by 3 box like a telephone keypad? If I could create a pattern one way, could I simply rotate the nine 3 by 3 boxes around? Finally, and perhaps most importantly, when I set these starting parameters, how much am limiting the possible solutions? There are a lot of possibilities, and it's a good, challenging puzzle exercise for curious young minds. First, sudoku by nature teaches critical thinking skills like logic and problem solving. There's one solution, but many ways to get there. When students start creating their own strategies, they're thinking on a higher level. Spatial relationships are so important throughout higher level mathematics, and the basic ideas of ordering, positioning and arrangement are always needed to solve (and create) these puzzles. "How does this fit together?" and "How can I take this apart?" are key for success in geometry (among many other things). So I would give this to students as a challenge, first giving them blank grids and perhaps starting one together. Have them complete some on their own, then either show them or give them the "starter" sudoku to explore some of the questions I raised earlier. I think you could do this with upper elementary students and up--and it would be great for homeschoolers as well! Tried something similar? Share your experiences and resources in the comments. There's no 52 Teachers, 52 Lessons entry this week. Read more about the project here, then send your entry to teachforever AT gmail DOT com. Take a look at last week (Week 33) for additional inspiration. This week's entry comes from Carol Hynes, a retired math teacher and curriculum coordinator from Leominster, MA. Her example uses math, but like most of what I post here, it's easily adaptable for any subject. More than 10 years ago, I made copies of an old worksheet on linear equations, and had the algebra students cut out the equations (there were 16) and work in small teams to sort the equations into groups of three or more that shared a common characteristic. It was slow going at first. When a group came up with a category, we shared it with the whole class. But, after a while, they got really excited and sorted in more ways than I would have expected them to. As an example, some groups sorted according to slope: negative, positive, zero, and no slope. Once they’d recorded their categories, they rescrambled the equations and sorted in a different way. We ended up reviewing concepts and math vocabulary. I even included a picture of a set of sorted equations on the chapter test and asked students to tell me what criteria I might have used to sort the equations. The results were great! I encourage teachers of all content areas can think of ways to incorporate sorting and classifying into their instruction. For math teachers, you will find lots of examples of sorts on the University of Massachusetts Science Resource Center web site. Here’s a quick link to the materials: www.tinyurl.com/carolhynesmath with directions for downloading. The first folder contains the Sorts and several other strategies. As promised, the PDF version of Ten Cheap Lessons: Second Edition will be available for free all day today! Thank you to Carol for making this possible! The book is available here. To celebrate the 10th anniversary of Amazon.com's Wish Lists, the everything superstore is holding weekly contests with some pretty awesome prizes. All you have to do to enter is create, add to, or share a wishlist. That's it! Tomorrow is the last day to enter for Week 1's prize: a trip to L.A. for The Twilight Saga: New Moon premiere and lots more related goodies! Learn more and enter for a chance to win here! Last week, I started tutoring after school with Mathnasium, a company that focuses exclusively on mathematics. As you can imagine, it's quite different than my teaching experiences, including all of the "extended day programs" I've participated in. This is only my second opportunity to teach elementary students, and really the first meaningful one. I don't really have to deal with any of the paperwork, meetings and other administrative nonsense of your typical school. Discipline is not an issue. The curriculum is very intuitive and designed for students to work on what they actually need to work on, not on what's in a textbook. The first day was tremendous--the bright eyes of eager, sincerely grateful students is so purely wonderful that you wish you could somehow contain it and carry it with you always. I have to learn a lot of new teaching methods and theory here, mostly concerning teaching elementary math concepts. I'm so well versed in Algebra I and beyond that I was a little overwhelmed with how much I didn't know about teaching the fundamentals of mathematics. It's scary, but also exciting. I have a few "courses" I have to complete in order to raise my pay grade and to become a fully certified instructor by Mathnasium standards to help me get caught up. I'm really impressed by their system. What I've learned is that for the most part their theory is very close to what I practiced in the classroom. 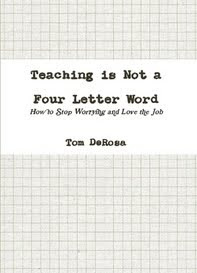 It's kind of like someone was able to clearly articulate my entire teaching philosophy without any input from me. After a year of doubting myself and self-loathing, this experience has provided some much needed validation. While I'm contractually obligated to not divulge any specifics of this company's system, I hope to use this opportunity to develop new lesson ideas and insights into our great profession. If you're in the Rio Grande Valley area and looking for a program like this for your children and/or students, please email me and I'll point you in the right direction. You know your kids will be in good hands! With the growth of online schools and resources to learn about high demand jobs, I think it's important to highlight different careers that our students might be interested in. This guest post is the first in what hopefully will be a series. They say a rose is a rose is a rose, but the same does not apply to a nurse – a nurse is not just a nurse. In fact, there are so many different layers to nursing that it’s not easy to analyze this profession on the surface alone. There are various advanced degrees in nursing that allow nurses to be much more than just primary care providers to patients. A registered nurse or an RN is qualified to administer medication to patients, teach nursing, be in charge of other nurses and be responsible for various other tasks in healthcare settings after completing two years of nursing school and passing a licensure examination. He or she is higher up in the chain of command than a CNA or a certified nursing assistant (who are not nurses but nursing assistants who require a one year diploma) and an LPN or licensed practical nurse (who require a one-year degree and a licensure exam). A nurse practitioner on the other hand is required to hold either a master’s or doctoral degree in nursing. He or she is different from a holder of a MSN (Master of Science in Nursing) degree in that they are supposed to undergo additional training in the diagnosis and management of various medical conditions so that they’re able to provide a wide range of healthcare services. Nurse practitioners are allowed to provide primary care to patients under the supervision of physicians. Some of them are even allowed to prescribe medication under the guidance of a doctor. Nurse practitioners have additional training in a specialty like primary, family or pediatric care. NPs are also known as advance practice nurses or APNs. Nurse practitioners are sought after in rural areas where doctors are not too keen on setting up primary care practices. They are responsible for diagnosing illness and disease and for providing basic care. While some people equate clinical nurse specialists with nurse practitioners, the two have completely different roles. A clinical nurse specialist usually has an advanced degree in nursing and is usually designated to work with other nurses to advance their nursing or to provide clinical expertise to improve levels of patient care when changes are introduced to the healthcare system. A nurse practitioner can however perform certain tasks and carry out certain functions that cannot be performed by clinical nurse specialists. In general, nurse practitioners are entrusted with much more responsibility and autonomy than registered nurses. This guest article was written by Adrienne Carlson, who regularly writes on the topic of nurse practitioner schools. Adrienne welcomes your comments and questions at her email address: adrienne.carlson1@gmail.com. This week's entry comes from Jenny, a new second grade teacher. You can read her teaching and other random thoughts at her blog. Never miss a teachable moment. Too often we stress and labor over the all-important Lesson Plans. We insist that they go exactly as followed. You have a schedule; to stick to it, you need to stick to the Plan. I understand that, but especially in the elementary classroom, I think teachers have to be willing to stray from the schedule. As an example, I was teaching second graders a story that took place in China. They'd done a "virtual visit" to China a couple of months ago, so I asked what they remembered about China. One student found China on the globe, but then asked how people don't "fall off" of the world in the Southern hemisphere. I could have dismissed the question. I was trying to introduce a story, for crying out loud! Luckily for me, I looked around the room first. I had the students' rapt attention. All of them were looking at me, silent and curious. Think for a moment- how often does that happen in your classroom? I decided that it was impromptu science time. I told the students about the power of gravity, and then someone shouted out a comment. "Right, like on the moon there's no gravity so you float!" Suddenly my literature lesson has been sidetracked, but I can't help it. I am too much of a science nut to let that misconception fly. I politely corrected the student, explaining that there is no gravity in space, but on the moon there is actually some gravity. I rush to the computer, and find a video of the moon landing to show them. The students watch, and I point out that Neil Armstrong did keep falling back on the surface of the moon. There is gravity, even though it's not as strong as on Earth. The students are nodding, and I can see this light in their eyes. For once, they're all listening. This is something cool, and something interesting at this very moment, and something they want to learn. And to think- all it took was 5 minutes of improvisational teaching to get there. I'm a new teacher, but this is why I'm a teacher. I want to encourage curiosity about the world and a passion for learning something new. If you hear an off-the-wall question or comment, take advantage of the opportunity. You just might catch a second grader poring over a space book the next day! Read more about this project here, then email your entries to teachforever AT gmail DOT com. Week 33 is scheduled for next Monday, October 12th. As promised, the PDF version of Ten Cheap Lessons: Second Edition is available for free all day today! Thank you to Jenny for making this possible! The book is available here.